As tensions mount with Moscow it is now being claimed that the two Russian suspects allegedly involved in the Skripal’s poisoning were in fact part of a six-strong assassination squad. According to “security sources” being quoted by the British press, Alexander Petrov and Ruslan Boshirov were assisted in their plan by four other Russian agents, who travelled separately. Together the six-man assassination squad was known as “The Cleaners”. While it may sound like something from a sixties spy-thriller that is what the British press, or at least their sources in the British security establishment would have you believe. 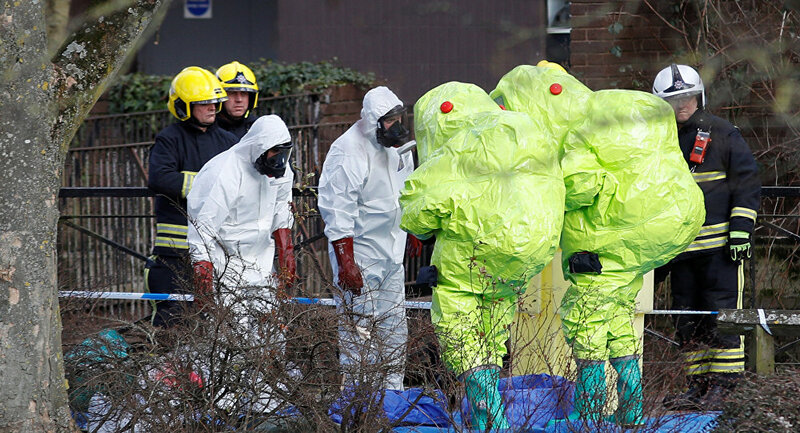 The Skripal’s were allegedly poisoned by novichok after the front door to Sergei Skripal’s house in Salisbury was smeared with the deadly nerve agent. However, as the former head of the U.S. Army’s Depleted Uranium Project and chemical weapons expert Captain Doug Roukke pointed out the assassins would have had to have worn full protective gear — like that pictured above — to have done so. No one has reported seeing anything so conspicuous in Salisbury on the afternoon the Skripals were poisoned. If they had you can be sure that the media would be telling us all about it. In addition, Captain Rokke says that IF Sergei Skripal’s front door HAD been smeared with Novichok the nerve agent’s toxicity would have reached “100 to 200” meters beyond Sergei Skripal’s house. Apart from Detective Sergeant Nick Bailey, Dawn Sturgess and Charlie Rowley no one else was affected by the nerve agent. So again, the official story over the Skripal’s poisoning just isn’t consistent with the facts. As for the CCTV photos of the alleged “assassins” they could very easily have been faked, like the photo (right) sent in by a regular contributor. The British authorities have yet to produce any hard evidence to substantiate their claims. All we have are leaks and disclosures from unnamed “security sources”, which the media repeats without question or scrutiny. Ed. 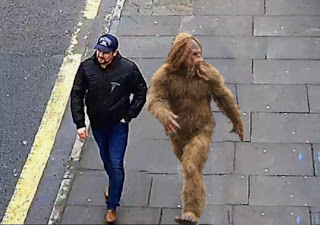 The attempted assassins are said to have had a backup team who travelled separately and helped with reconnaissance in Salisbury, the Mirror reported. The backup team were also there in case anything happened to the nerve agent, the source said.